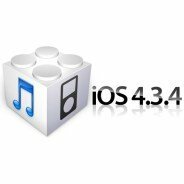 Apple released new update iOS 4.3.4 for iPhone, recently. Although, the update contains a lot of improvements but, on the other hand, it’s not good for the people using jailbreak. This new update made the previous version of JailbreakME 3.0 useless. IPhone is a most popular handset now days, in short, it is ruling over markets. Apple continues to made new updates after little intervals to improve the quality of its firmware especially to avoid jailbreaks. Although, it is not necessary, as, hackers have root access in shape of patch that allows them to penetrate inside the mobile. And the developer of JailbreakME 3.0, honestly, didn’t have any bad intention. He just provided a calm way to do so. The possible solution to keep your iPhone jailbreak is, not to update it. One important thing to keep in mind is that iOS 4.3.4 is the last update of this 4 series; iOS 5 will be released very soon. The alternative solution is to Jailbreak iPhone iOS 4.3.4 by using tethered RedsnOw. But, infact, the expected new update will make it useless.